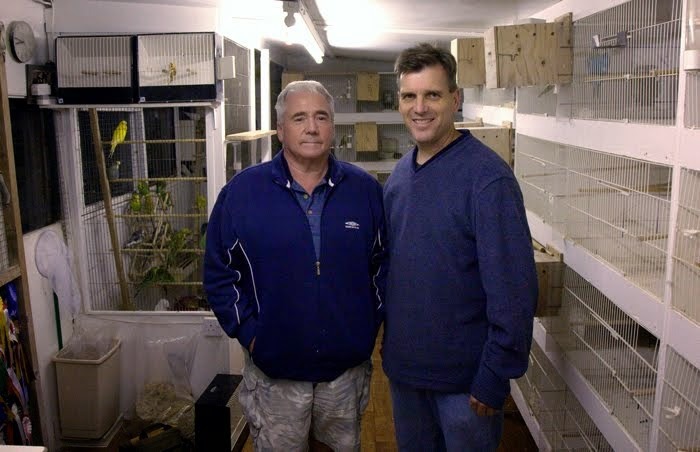 As our conversation progressed at Alan Marchants aviary it was apparent that Alan was committed to his decision to sell to one breeder here in America. Then he started talking about the Bowker brothers. They are a satellite aviary of Alans who carry I believe 100% of the Huxley and Marchant blood line. I'm sure there is another line involved however it wasn't discussed. Our conversation amongst our group turned to flecking and we did notice some in this aviary but the concern was that in the past the Marchant aviary was known for flecking in the breeding stock. Frankly I didn't notice any on our trip not to say that I didn't miss any but looking at my pictures there were none that I saw. Alan called at the last minuet and already evening it was even later that we arrived at the Bowker aviary. 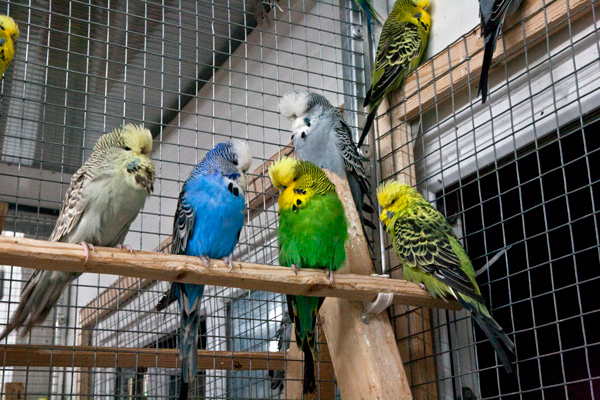 Although I sensed an inconvenience of our visit it was very generous of the brothers to allow us to view their aviary. The Bowker brothers are Intermediate breeders and it was obvious that they were on their way up. The quality was outstanding. On the quiet side as our visit lengthened the boys seemed to open up. Dave Collier who had just judged the Blues at the 2010 world show at Doncaster England was asked what he thought about one of the brothers blues. It was a fabulous bird however away from the other competition was hard to make a fair judgment. The aviary consists of to separate buildings the breeding area in the 1st room was adjacent to tall flights. The breeding block traveled up to the ceiling and I wondered how difficult it must be to manage such an area. 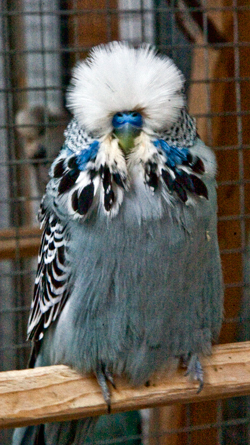 The aviary was clean and well maintained. Our visit was very short considering the hour, however it was an added bonus for us to be able to view the birds on very short notice. The price of the birds was reasonable and this is an aviary of great interest if you were to consider some Huxley and Marchant birds. It could be said that the depth of a more established aviary might be more appealing however this aviary is full of quality birds which could enhance any aviary. Thanks Alan for sharing your observations. 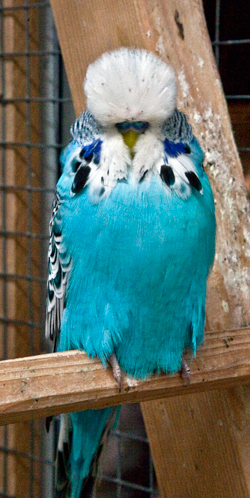 Your writing is an education in so fas as the manner of how people perceive some of the top names in the Budgerigar hobby. Your photography is top notch, well done and thank you.